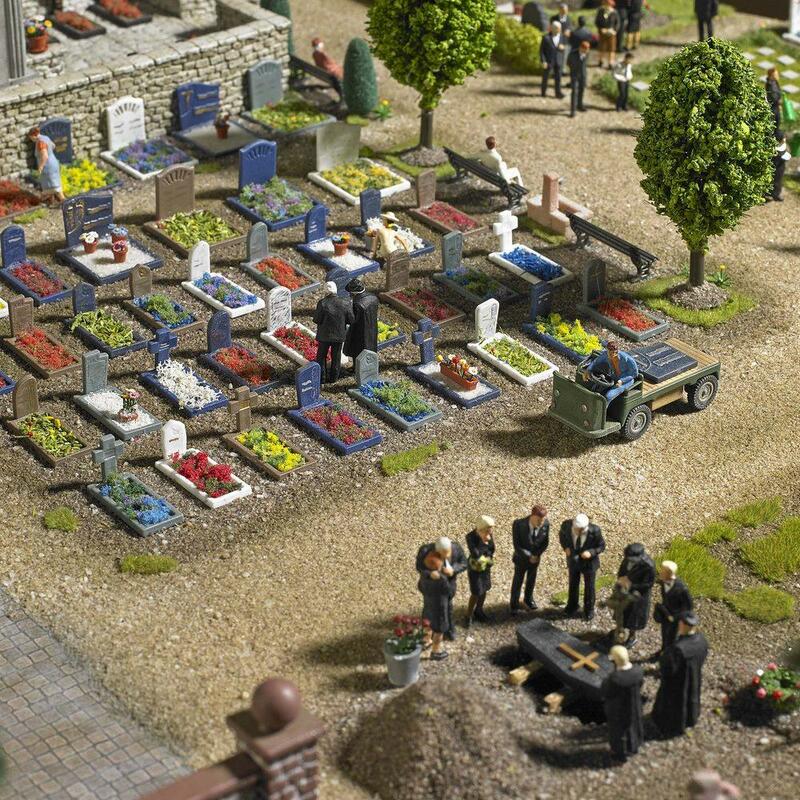 Cemetery set. A large set of assorted items for a Cemetary. Graves and crosses. Watering cans, service bins and assorted items.